Can the Netherlands lead the way in how the world eats protein? Dutch food probably doesn’t conjure up images of very healthy eating. 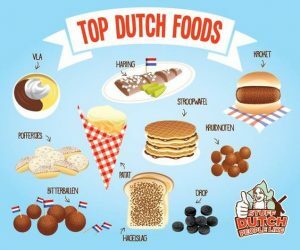 Lots of cheese, stroopwafels, chocolate sprinkles on bread, fried meat-based snacks and fries drowned in mayonnaise. And yet, the Netherlands might just be the country to lead the way to new eating patterns that are healthier for both people and the planet. In the past years, there have been many initiatives by the public and private sector. All working to encourage people to eat healthier with more plant-based protein. But as food patterns are probably the most deeply ingrained of all, this is no easy feat! Did you know that 40% of plants grown in the world are fed to animals? Of the soy grown in the world, that percentage is even higher, 85%. The visual to the right shows the complicated and interconnected food chain for protein. It comes from the Protein Challenge 2040 by Forum for the Future. Simon Billing of Forum for the Future said: “It’s undeniable that protein is an indispensable part of the human diet, but the way we produce and consume it today presents many challenges – both in terms of global consumption patterns as well as their social, environmental and economic impacts.” It’s clear that doing a bit better on food productivity or food waste isn’t going to be enough, we really need to change the way we eat. Agrikingdom of the Netherlands leading the way? For centuries, the Netherlands has been leading in the area of agriculture. Perhaps not Dutch cuisine, but cows, potatoes, and cheese, as well as agricultural expertise, are important export products for the Netherlands. With many interesting initiatives underway, the Netherlands is well-placed to be a catalyst for positive change in the transition to plant-based protein. Supported by the Dutch government and knowledge partners, a group of forward-thinking food companies joined to form the Green Protein Alliance, a coalition dedicated to progressing the protein transition. In February 2017, they launched the Green Protein Growth Plan with the objective to reduce the animal protein percentage from 63% in 2015 to 50% in 2025. On the same day, Minister for Agriculture Martijn van Dam launched the New Food Challenge. The goal of this challenge is to increase the number of new healthy products offered in food retailers. Based on plant protein, which is not just better for people, but also better for the planet. 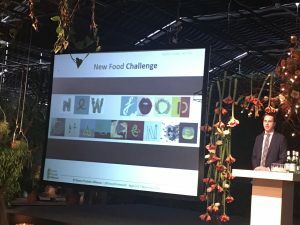 The New Food Challenge will invest €1.8 million in product ideas from new and existing companies; ideas driving a change in eating patterns by making plant-based protein more attractive. Furthermore, the Ministry of Foreign Affairs has convened a coalition of Dutch companies and NGOs to contribute to the global transition to more plant-based protein. 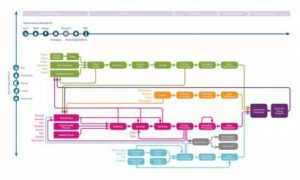 What’s so interesting about this specific CSR-covenant that it is designing this relatively new sector in a sustainable way from the start. 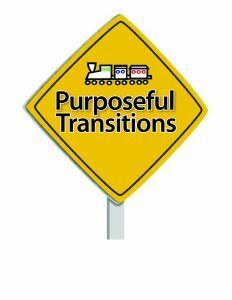 First-time-right, as opposed to various other CSR covenants, which have to reshape and redesign existing industries and therefore often raises quite some resistance from the parties with vested interests in the old systems. The international CSR-covenant for plant-based protein is expected to be signed in March 2017. Great to have so many public and private parties working together, but in the end, will we eat it? Last but not least on the list of interesting institutional initiatives is the Netherlands Nutrition Center. This government-funded institution encourages consumers to develop healthier and more sustainable eating habits and advises the food industry to produce a more sustainable range of food products. 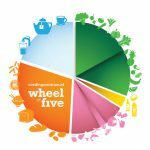 In 2015, it overhauled its food advice (the wheel of five). The key change is to reduce the intake of animal products and to include more plant-based protein. We all know that people won’t simply change their eating habits because a government agency tells them that this is better for them. The real challenge, perhaps, is fought on the high street, in the supermarkets. How do you encourage people to try new products that are better for them and the planet? Plant-based protein does not sound too tasty, so we’ll have to find other ways. Amsterdam-based market research company Motivaction identified two kinds of shoppers who are more likely to buy plant-based protein products. The conscious quality shoppers want to progress to a more plant-based diet and are quite knowledgeable. To market to them, build on their existing knowledge and inspire them with real stories. The impulsive comfort shoppers are eager to try appealing new products. To market to them, make plant-based foods exciting, luxurious and easy to use. Manufacturers of plant-based protein products must know some of this already. In 2016, the market showed double-digit growth and this is just the beginning! From the varied initiatives above, it does look like the Netherlands has a reason to be a confident leader in the transition to a more plant-based diet. Here are our top tips to join the movement, wherever you’re from! Explain positively how plant-based protein fit into everyone’s daily life. For most people, this probably will avoid the words plant-based protein, but rather focus on other benefits like health, flavor, innovation and for some, perhaps, the environment. Convince clearly that plant-based protein is a healthy option for everyone. Activate together, joining forces with public and private parties, inside and outside the sector – for positive change! Written by Marjolein Baghuis (@mbaghuis) and Leontine Gast (@theterraceNL) for the Changeincontext.com and The Terrace blogs. Mostly inspired by the content of the Green Protein Alliance event held on February 16, 2017. To read about interesting people, book reviews and other posts about change, communications and sustainability, please subscribe. This looks quite interesting. Is the Green Protein Plan available in English? Hi Gwen, thanks for your question. As far as I’m aware, it’s only available in Dutch for now. But it’s a good idea to get it translated if the Dutch want to serve as an example for others. Hi Marjolein, Thank you for your prompt response. As a member of a city commission on sustainability, this plan would be useful in our recommendations regarding the city’s food policy. If it does become available in English, I will share it with my fellow commissioners. Speed is useful only if you are running in the right direction.